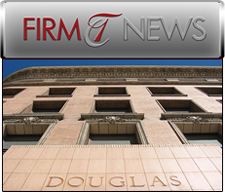 We are proud to announce that Douglas Building Lofts has selected Tinnelly Law Group as its new legal counsel. Located in the City of Los Angeles, Douglas Building Lofts consists of 50 unique, New York style lofts located two blocks away from the Metro Red Line Station. Douglas Building Lofts is just minutes away from Los Angeles’ oldest and largest open-air market, Grand Central Market. Its residents enjoy a gated pet friendly mini-park, easy access to freeways, walks to nearby restaurants and shops, and striking City views. Our HOA lawyers and staff look forward to working with the Douglas Building Lofts and to developing another lasting relationship with an HOA client.